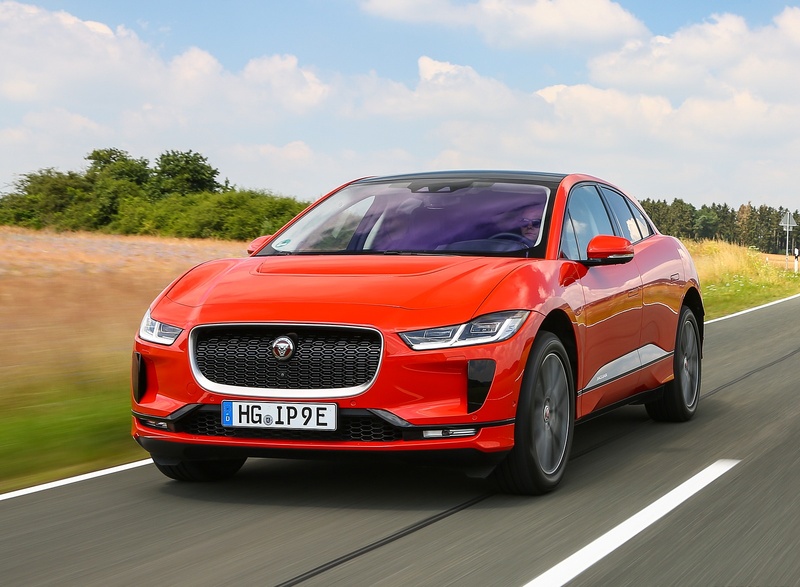 The 2019 Jaguar I-PACE joins the ‘PACE’ family of Jaguar SUVs and is the first battery electric vehicle (BEV) to be offered by the Jaguar brand. 90kWh battery delivers estimated range of up to 240 miles. 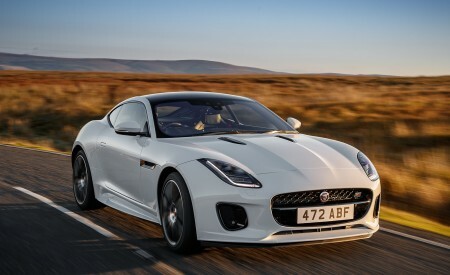 All-wheel drive performance from twin Jaguar-designed concentric motors offer a combined 394hp and 512 lb. ft. of torque to deliver 0-60mph acceleration in 4.5 seconds. Owners can achieve 80 percent battery charge from empty in 40 minutes using 100kW DC fast chargers. 0-80 percent charge at home using a 230V AC wall box can be achieved in just over 10 hours. Regenerative braking system enables option of single-pedal driving to maximize range and efficiency. First Jaguar to incorporate the new Jaguar InControl® Touch Pro Duo™ infotainment system featuring 10-inch upper and 5.5-inch lower touchscreens for intuitive driver experience. New EV Navigation factors in route topography, driving style and more to help optimize vehicle range when determining potential routes to a destination. New Amazon Alexa Skill allows I-PACE owners to audibly access information held in the Jaguar InControl Remote app from any Alexa-enabled device. 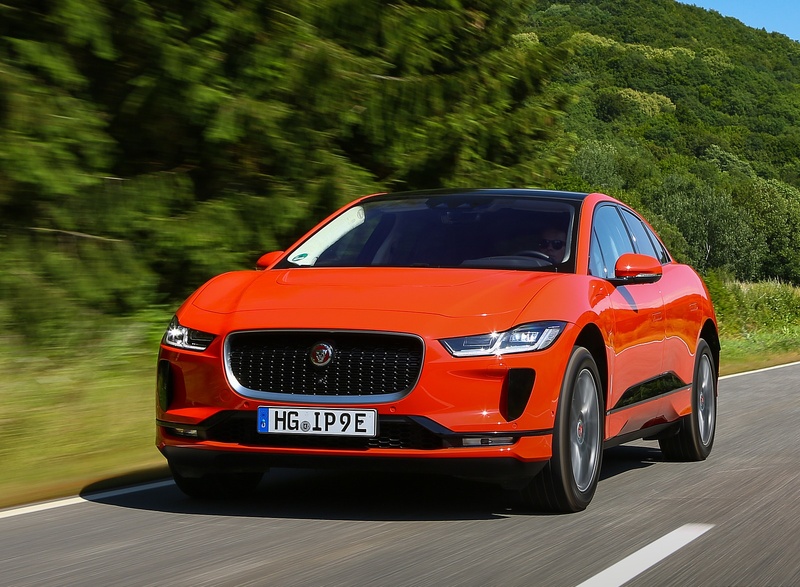 I-PACE to be the first Jaguar product to receive Software-Over-the-Air (SOTA), allowing customers to wirelessly update vehicle systems. 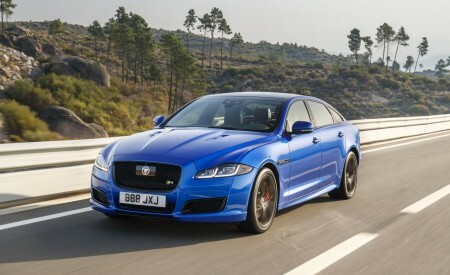 Eight-year/100,000 mile battery warranty included in Jaguar EliteCare offers customers peace of mind. U.S. customer deliveries to begin during the second half of 2018. 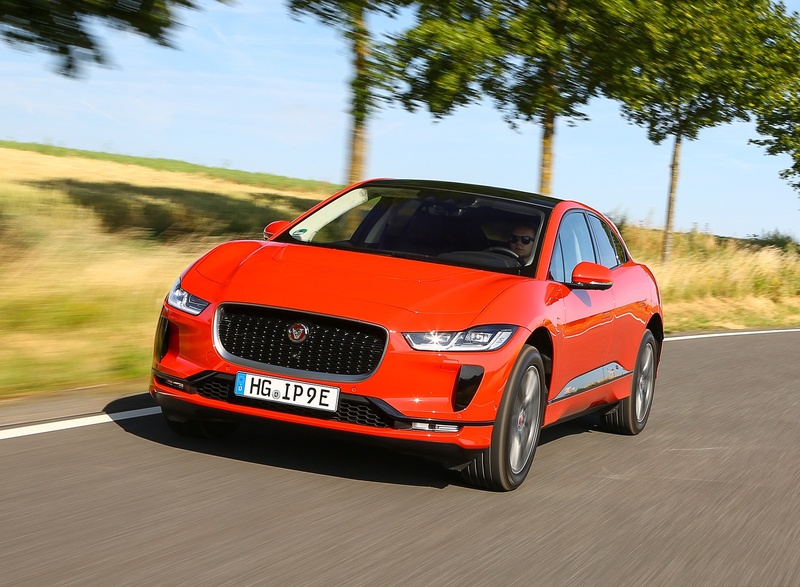 As of today, Jaguar retailers can begin placing customer orders for the new I-PACE. 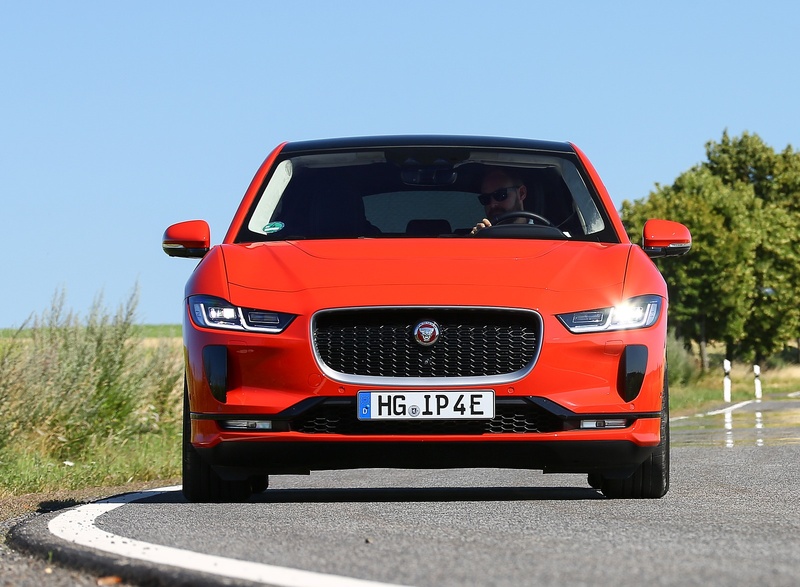 March 1, 2018 – Today, Jaguar has revealed the 2019 Jaguar I-PACE via live webcast from its manufacturing facility in Graz, Austria. Arriving at U.S. retailers in the second half of 2018, the production I-PACE offers customers an exciting design influenced heavily by the concept vehicle, revealed in 2016; which in turn was heavily influenced by the C-X75 supercar concept. Featuring a number of smart interior storage solutions and interior space normally found in a vehicle a size above, the 2019 I-PACE takes advantage of the inherent benefits found with EV packaging, all while offering the driving dynamics expected of all Jaguar vehicles. 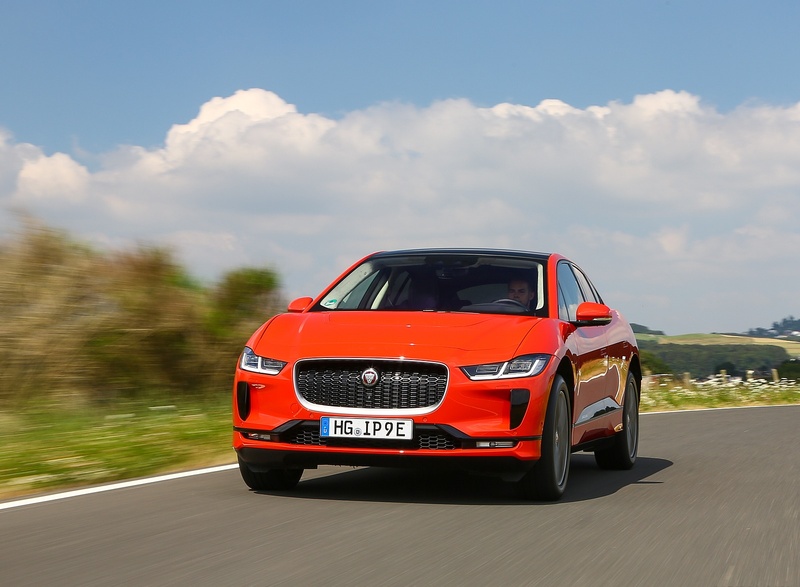 At launch, the 2019 I-PACE will be available in three trim levels: S, SE & HSE, with an additional First Edition model available for the first year only – all featuring all-wheel drive as standard. 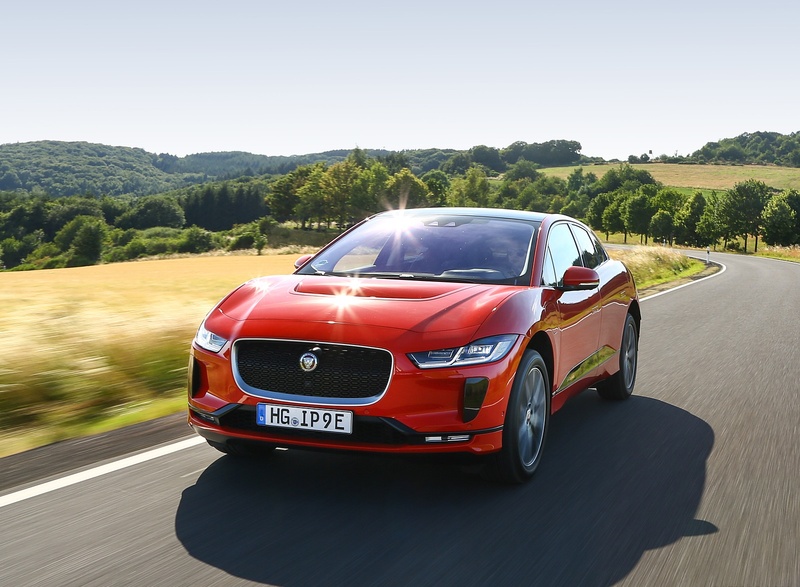 With a 90kWh battery powering Jaguar-designed electric motors placed on the front and rear axles, the I-PACE delivers an estimated range of up to 240 miles1 and 0-60mph acceleration in as little as 4.5 seconds on its way to a top speed of 124mph2. The 432 pouch-cell lithium-ion battery can even charge from empty to 80 percent in approximately 40 minutes when plugged into a 100kW DC fast charger3. 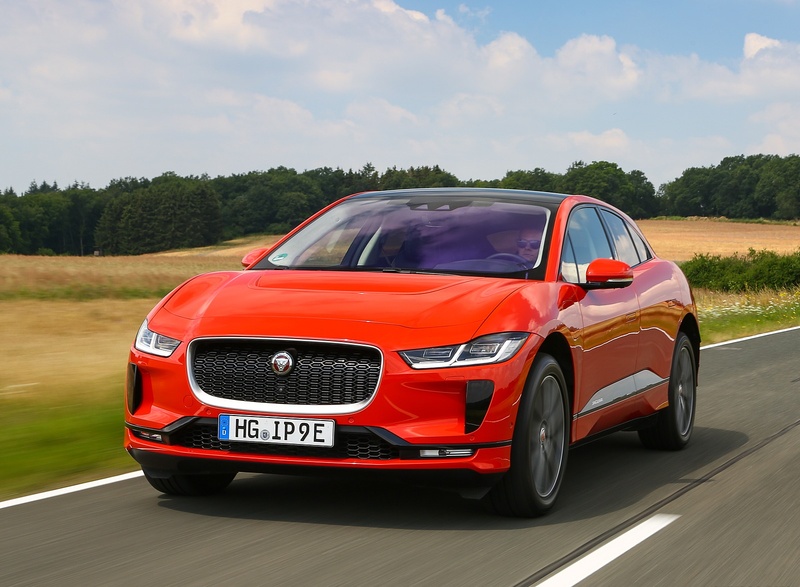 By putting the 2019 Jaguar I-PACE into production virtually unchanged from the I-PACE Concept, Jaguar has transformed electric vehicle (EV) design. 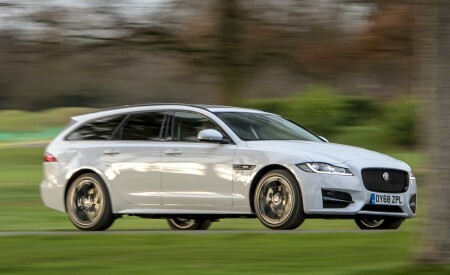 A long wheelbase of 117.7in (2,990mm) with an overall vehicle length of 184.3in (4,682mm), gives the vehicle a similar footprint to the Jaguar F-PACE, but with the interior space of a larger vehicle. 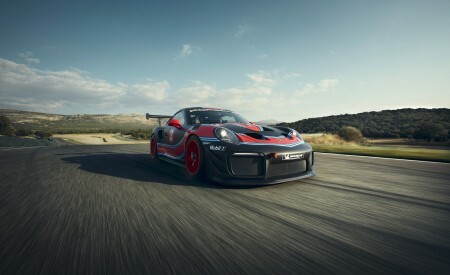 Its bold proportions are a direct result of the advanced electric drivetrain and architecture that underpin the vehicle. 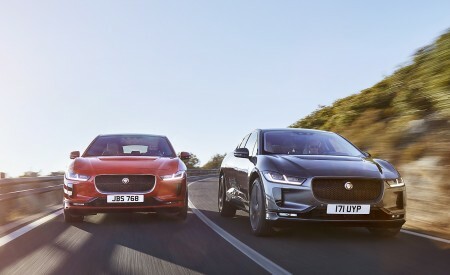 The cab-forward profile of the I-PACE is a natural progression of the well-established design language of the Jaguar brand and retains key characteristics including the grille design and distinctive sweep of the window frames, which make it immediately identifiable as the newest member of the brand’s expanding ‘PACE’ family of SUVs. With its exciting proportions and sleek coupe-like silhouette, the I-PACE takes inspiration from the Jaguar C-X75 supercar concept – incorporating signature design elements that include sweeping front fenders, integral hood scoop, cab-forward driving position, dramatic curves, muscular haunches and a striking waistline, as well as imposing available 22-inch wheels. Aerodynamic features including a low hood, sweeping roofline and squared-off rear, assist the I-PACE in achieving a drag coefficient of just 0.29Cd. 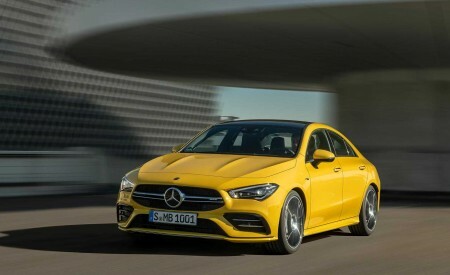 The grille has evolved into a bold aerodynamic enhancer, channelling airflow through the integral hood scoop and over the windshield onto a coupe-style roofline to reduce drag. 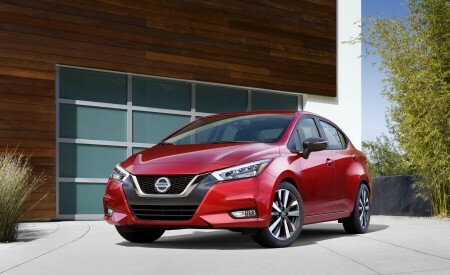 Airflow for battery cooling and the climate control system pass through the grille and active vanes in the front bumper apertures which open when required. Emerging from the door panels at the push of a button on the key fob, or when touched, flush door handles preserve the clean lines and contribute superb aerodynamics. This focus on aerodynamic efficiency continues to the standard air suspension system, which is capable of lowering the vehicle by up to 0.4in (10mm) at speeds above 65mph (105km/h)2 as a way to further reduce drag. Available Premium LED headlights emphasize the clean lines of the I-PACE and feature a compact design that incorporates the trademark Jaguar ‘double-J’ signature daytime running light design. Attention to detail, added functionality and the standard Touch Pro Duo infotainment system combine with the distinctive floating center console to set the interior design tone of the Jaguar I-PACE. Vibrant HD displays, advanced touchscreens and capacitive switches complement multi-function, rotary controllers for an engaging, intuitive experience. The generous interior offers 40.9in (1,040mm) and 35.0in (890mm) of front and rear legroom respectively and even includes clever storage areas for drinks, bottles and other miscellaneous items. With no transmission tunnel, there is room for a 0.43cu. ft. (12.3 liter) compartment in the center console for phones, keys and other small items. Trays built under the rear seats also provide perfect storage for tablets and laptops. The rear luggage compartment capacity of 25.3 cu. ft. is also larger than most medium-sized SUVs, increasing to 51.0 cu. ft. with the seats folded flat. Despite the dramatic sloping roofline there is plenty of headroom (39.9-in in row 1 and 38.1-in in row 2) because of the low-slung seating position, which provides a sporty enjoyable seating position without compromising posture or space. The standard glass panoramic roof runs the length of the car and floods the cabin with light, giving the interior added sense of space. Both the roof and side windows absorb infrared light, keeping the cabin cool and shading the interior without the need for a blind. Customers can choose seats upholstered in a Luxtec material, optional Grained Leather, Fine-Grain Windsor leather or a premium textile alternative developed with Danish textile experts Kvadrat – a high quality material that combines a durable wool-blend with recycled technical suede cloth. Materials are carefully chosen to provide a blend of natural finishes and high-tech surfaces, including optional Gloss Black, Gloss Charcoal Ash wood grain and precision-machined aluminum. The contemporary color palette emphasizes the sense of space and lightness inside, while the option of slimline performance seats further enhances the sports car feel of the I-PACE interior. 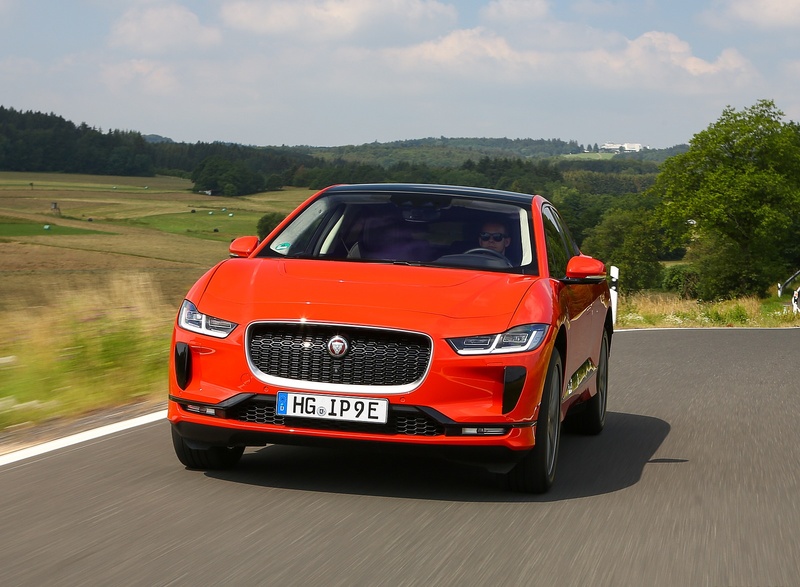 The new all-electric Jaguar I-PACE makes electric vehicle (EV) ownership more exciting, accessible and practical than ever thanks to its unique design and battery technology. A 90kWh lithium-ion battery comprising of 432 pouch cells, chosen for their high energy density and superior thermal management, delivers an estimated EV range of 240 miles1. Owners will be able to achieve a 0-80 percent battery charge in approximately 40 minutes using 100kW DC fast charging3. Alternatively, home charging with a 230V/32AMP AC wall box (7kW) will take the I-PACE from zero to 80 percent in just over ten hours, making it ideal for overnight charging3. Additionally, owners can pre-condition the battery temperature to maximize range, and heat or cool the cabin before starting their journey while plugged to power. By allowing the vehicle to precondition itself while still connected to power, maximum range can be achieved without the need to draw power from the on-board batteries to reach optimal operating temperature. Customers can pre-set a time for this process to automatically begin ahead of each journey through the Jaguar InControl Remote app or from the Touch Pro Duo touchscreen6. With 394hp and 512 lb. 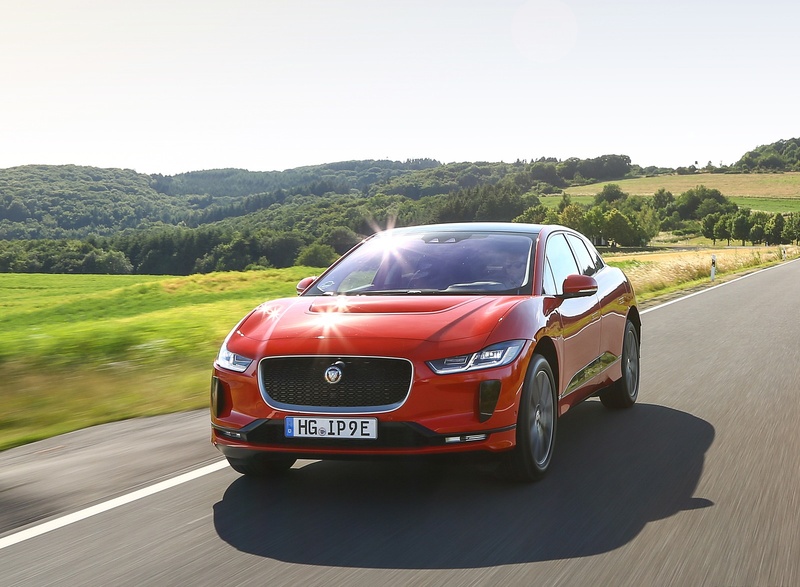 ft. of torque driven through each of the four wheels the zero-emission Jaguar I-PACE delivers electric performance in every sense and the kind of dynamic response Jaguar owners have come to expect. 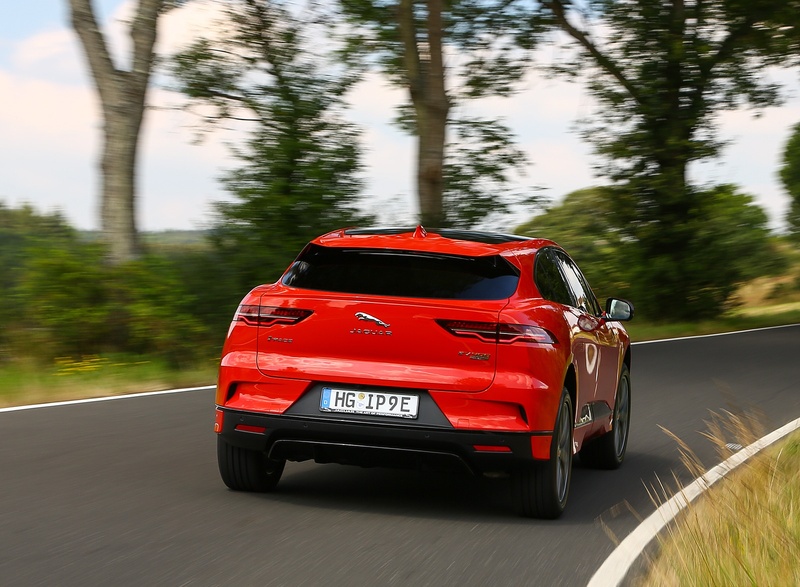 The instantaneous torque delivery inherent in an EV gives the new Jaguar performance SUV impressive acceleration from a standing start, sprinting from 0-60mph in as little as 4.5 seconds (0-100km/h in just 4.8 seconds)2. Two Jaguar-designed synchronous permanent magnet electric motors drive both the front and rear axles. Each motor fits concentrically around a compact, single-speed transmission and differential, enabling instant and precise distribution of torque to all four wheels as the I-PACE continuously adapts its front-rear balance to suit road conditions. Conceived as a high-performance EV from the outset, the I-PACE delivers engaging driving dynamics, everyday usability and comfort, with a unique balance of ride, refinement and control. 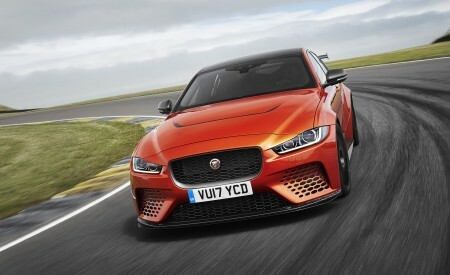 Jaguar has placed the battery as low as possible between the axles, providing close to optimal 50:50 weight distribution and a low center of gravity optimizing composure and reducing body roll. Advanced double wishbone front and integral link rear suspension deliver both incredible ride comfort and the lateral stiffness needed during dynamic driving, ensuring excellent handling, grip and steering responses. The compact and lightweight suspension design features aluminum suspension links and knuckles to reduce weight, while maximizing interior space. Standard air suspension with available Adaptive Dynamics featuring continuously variable shock absorbers also give the I-PACE true sporting agility and balance4. The self-levelling system is designed to maintain the optimum suspension geometry even when the vehicle is fully loaded and lower the vehicle when at speed to optimize aerodynamic efficiency. As a result, occupants enjoy supreme comfort as the suspension provides a combination of bump absorption and body control that feels calm and natural in a variety of conditions. 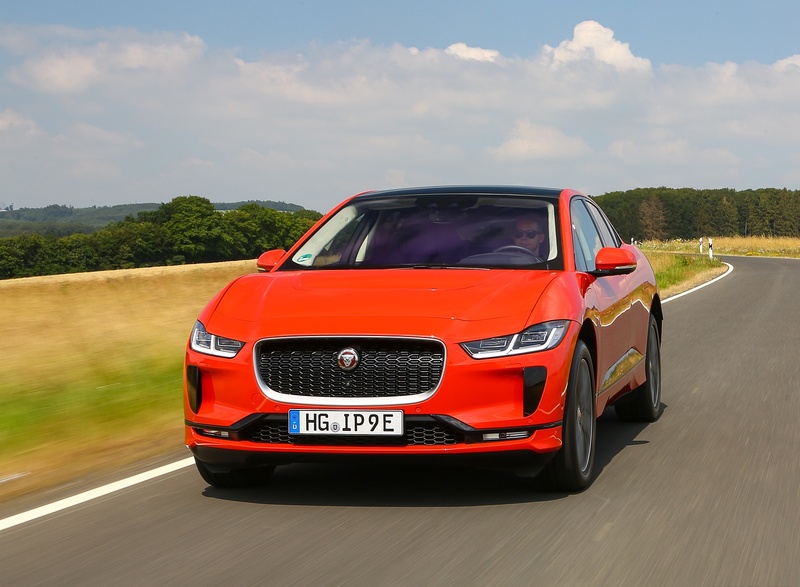 Jaguar engineers have utilized an electric brake booster on the I-PACE instead of a conventional brake vacuum servo. This gives the brake system more flexibility when blending regenerative and traditional mechanical braking, providing consistent and precise pedal feel in various conditions. 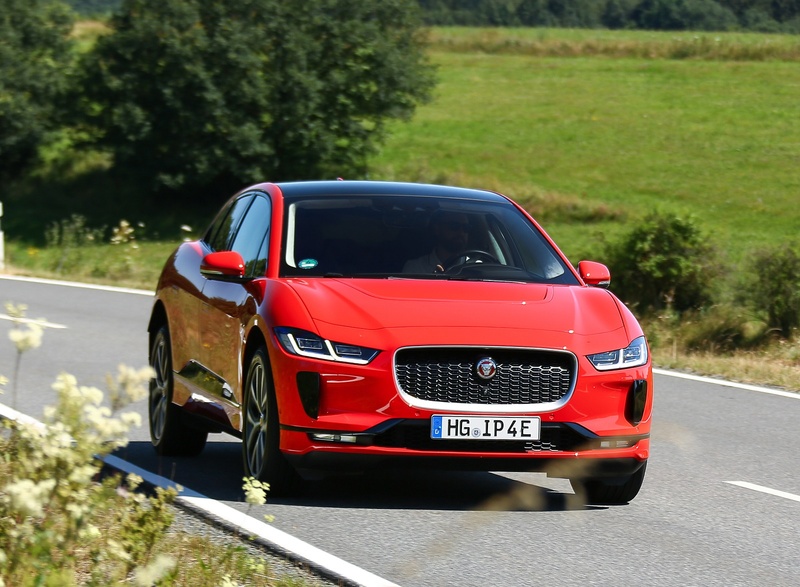 The I-PACE also enables the driver to select either high or low levels of regenerative braking to assist in maximizing efficiency and optimizing vehicle range. When high regenerative braking mode is selected the driver can experience single-pedal driving in certain conditions as the car decelerates when lifting off the accelerator; reducing reliance on the brake pedal when slowing down4. 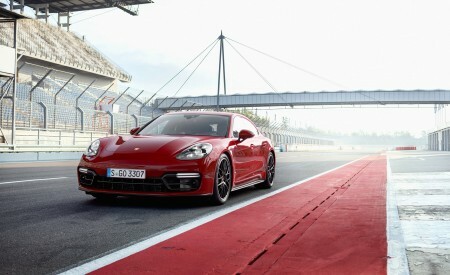 In fact, a maximum regenerative braking force of up to 0.4G is achievable in this mode. Similarly, in heavy traffic, the driver can turn off the vehicle’s creep to improve comfort. The driver can then slow the vehicle by easing off the accelerator pedal and may not need to use the brakes to hold the car stationary, even on an incline. 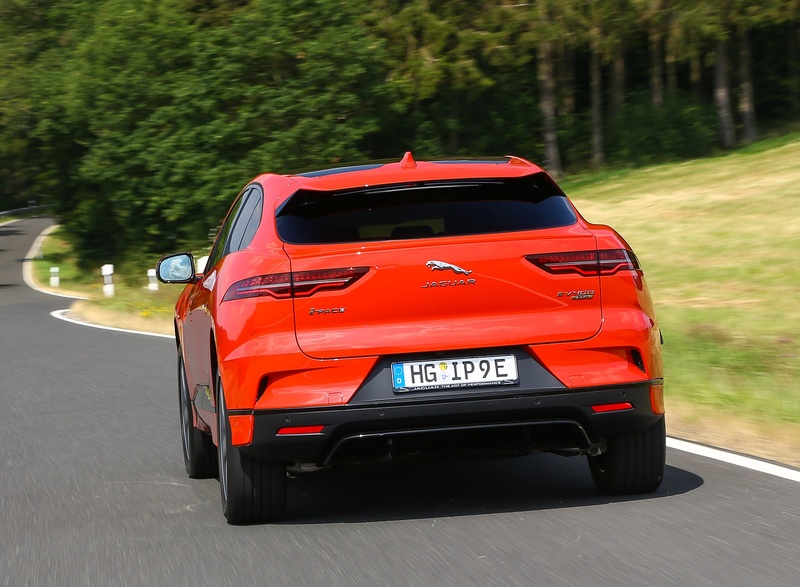 Jaguar has engineered the I-PACE to perform in hot and cold climates, operating at temperatures as low as -40°F. The low resistance of the pouch cells, the battery pack’s insulation and an advanced thermal management system work in harmony to ensure the I-PACE works to specification in a multitude of weather conditions. In moderate temperatures, the battery uses a cooling system to maximize energy efficiency. A refrigeration unit linked to the vehicle’s main air conditioning system activates only at higher temperatures to control cell temperatures and maximize the available power. In cold conditions, a heat pump helps to maintain optimum operating conditions for the cells and the interior. This is more efficient than conventional heaters because it uses energy from the outside of the vehicle and heat scavenged from the inverters and power electronics to heat the cabin, rather than relying solely on energy from the battery. 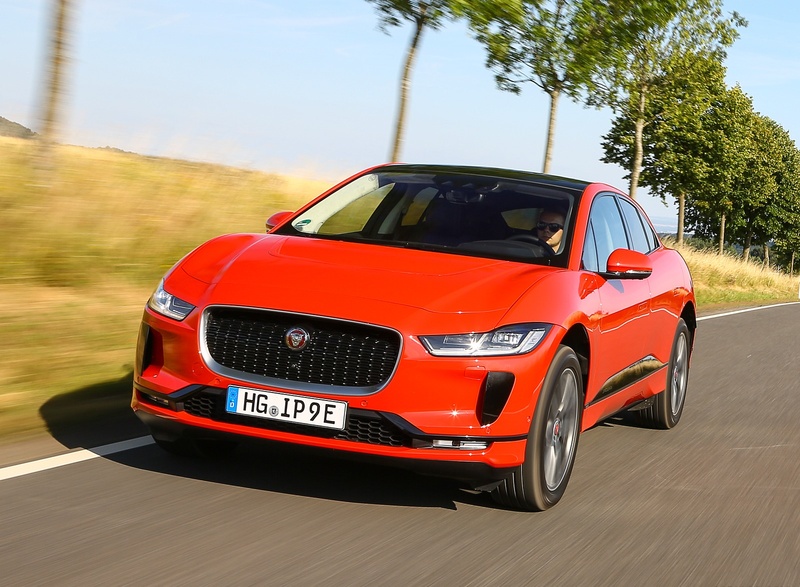 The I-PACE underlines the Jaguar brand’s dedication to technological advancement and is the first Jaguar to incorporate the intuitive InControl Touch Pro Duo infotainment system. It uses an innovative combination of touchscreens, capacitive sensors and tactile physical controls to operate key functions while reducing visual clutter within the cabin. This new human-machine interface (HMI) design features two touchscreens on the center console, designed to reduce driver distraction; separating information and interactive controls logically, while rotary controllers provide an essential physical connection between car and driver. An available full-color head-up display (HUD) projects key information such as vehicle speed and navigation instructions onto the windshield to enable the driver to keep their eyes on the road4. This advanced technology is supported by a 12.3-inch Interactive Driver Display behind the steering wheel, providing enhanced clarity and flexibility to customize the drivers preferred set of data. The Jaguar brand’s new EV navigation system, embedded into the Touch Pro Duo system factors in the topography of planned routes with insights from previous journeys and individual driving styles to accurately calculate available range for added driver confidence. Connected navigation will also identify potential charging locations along the chosen route if there is insufficient charge to reach a given destination6. The advanced navigation system is supported by Arrival Mode, which can suggest the nearest available parking garage or direct the driver to the closest charging point at the end of a journey. It can also sync with the Jaguar Land Rover Route Planner app, a multi-mode smartphone travel app6, making it easy for customers to plan journeys that include driving, walking and public transport. This is supported by Arrival Mode, which can suggest the nearest available parking garage or direct the driver to the closest charging point at the end of a journey. The I-PACE uses ‘Smart Settings’ technology to learn from the driver, anticipate their needs and help them focus on enjoying the journey. By using the key fob and smartphone Bluetooth signal to recognize an approaching driver, the I-PACE will learn their preferences and ensure their usual climate control, infotainment and seat settings are ready every time they get behind the wheel. Over time, algorithms will offer driver-tailored choices based on the time, location, weather and behavior patterns – for example, it could pre-heat the steering wheel and seats for a particular journey. Intelligent Phone Reminder will also tell the driver if they leave their smartphone behind, while the Predictive Call List learns patterns of phone use to cue up popular contacts at the appropriate time. The I-PACE also launches with an Amazon Alexa Skill. 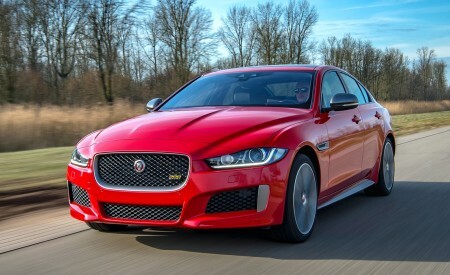 This means from outside of their vehicles, owners will be able to ask an Alexa enabled device for information held in the Jaguar InControl Remote app. For example: Is my car locked? What is the charging level? Do I have enough range to get to work? 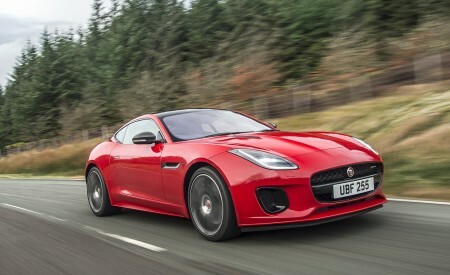 This is also the first Jaguar able to receive software updates wirelessly. This SOTA capability ensures the I-PACE continuously improves after customers have taken delivery, providing drivers with updates to their infotainment system, telematics unit and battery charging capability. Featuring a Nickel Manganese Cobalt (NMC) lithium-ion battery pack comprising of 432 individual pouch cells and an advanced power management system controlling input/output and operating temperature, engineers have been able to deliver a power source for the I-PACE with remarkable durability, high power density. I-PACE owners will be able to make use of both AC and DC power to charge their vehicle3. Each U.S.
I-PACE will ship with a Mode 2 universal cable as standard. According to research, a little over 80 percent of Americans drive no more than 30 miles as part of their daily commute7, meaning most charging needs can be met at home without the need to visit publicly available charging points outside of their immediate neighborhood. Due to the non-linear nature of battery charging, the closer one gets to 100 percent, the slower a battery’s capacity to accept additional charge. For example, a battery being charged from empty to 20 percent will accept that 20 percent charge much faster than a battery being topped off from 80 to 100 percent. 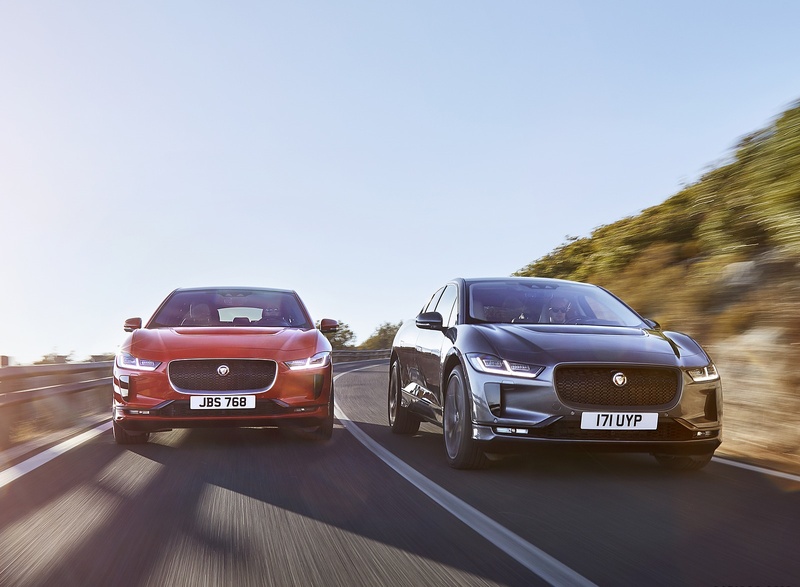 In conjunction with the expansion of the Jaguar and Land Rover model lineups, including its first electrified vehicles, Jaguar & Land Rover retailers have committed to invest $1.5B on new facilities and enhanced owner experiences over the next 5 years in North America. The new retail facility design standard to be adopted by retailers nationwide create modern dual branded retail environments. 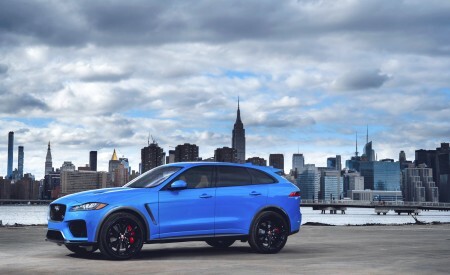 There are 207 total dealerships in the United States, including 166 Jaguar franchises.